This chapter surveys macroeconomic developments in Israel during the course of 2012, and discusses developments in the government budget over time and in comparison with the United States. Data for 2012 and early 2013 point to a reasonable level of growth in GDP, a stable unemployment rate, and a continued increase in investment; all the while inflation remains low. Israeli macroeconomic activity continued to be in the shadow of the global slowdown. The government deficit grew, in particular due to a decline in tax revenues. An analysis of fiscal policy over time indicates that while Israel is not, at present, deviating from its behavior of the past 20 years, it could potentially find itself treading a dangerous fiscal path. 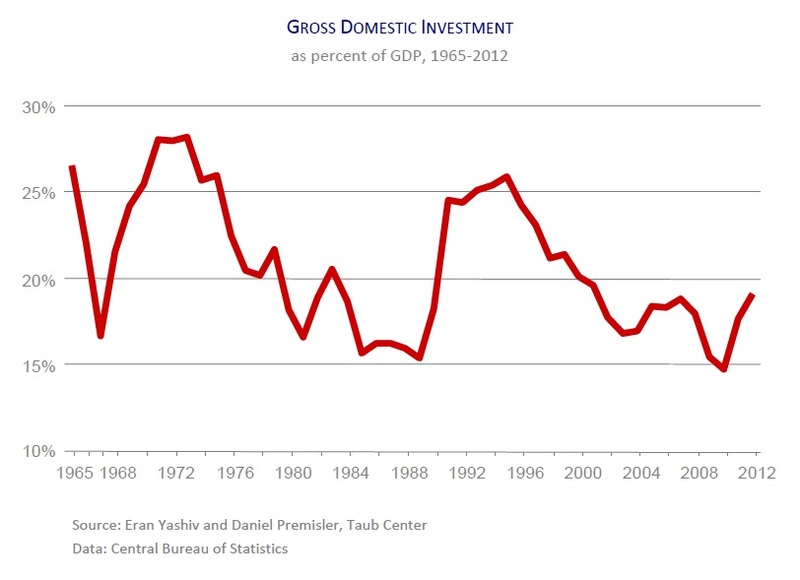 At the same time, it is difficult to see how the Israeli government will attain the one-percent-of-GDP deficit target that has long been on the agenda of policy makers. This chapter calls attention to several problematic aspects of the government budget management and presents ideas for reform.